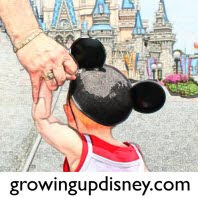 Yesterday, Chris was featured on A Disney Mom's Thoughts as a part of the Stars Fell on Disney Fans from Alabama series. Read why he loves his location in Alabama and the benefits of a premium annual pass. Please visit Beth's terrific blog and let her know we sent you.